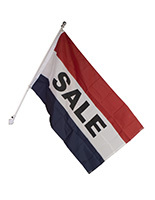 These swooper flags feature the standard, red, white and blue coloring that is typical of outdoor message flags. 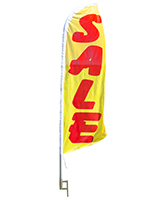 The feather banners display the word “SALE” in bold, black letters that can be seen from far away. 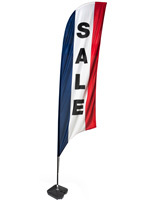 The 11-foot-tall swooper flags are designed specifically for use outdoors. 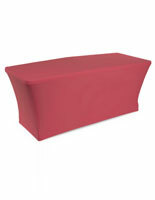 The included ground spike allows for placement in areas with dirt or grass. 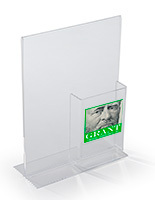 The spike is easily hammered into the ground, which ensures the large-size banners remain in place while in use. 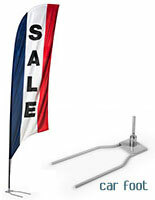 These swooper flags are incredibly easy to set up and even include a collapsible pole for effortless storage in-between events.